Sensory Marketing - A new opening for advertisers! In the March 2015 issue of Harvard Business Review, there was an article on sensory marketing (The Science of Sensory Marketing). Though discussed briefly during Marketing classes at IIM, this article made me to think and research a little bit about this topic. Sensory marketing is nothing but making use of five sense creatively to attract consumers for building awareness and making purchases. We know very well that traditional advertising involving videos make use of visuals as a sense. Similarly radio advertisements use jingles to tap on the hearing sense. Sensory marketing as a domain focuses more on how the product itself can make use of other senses to build acceptance and loyalty. The concept of sensory marketing aka sensory branding is not new. It has been there for decades. Let's take Lays as an example. Starting from how the name is written in packaging to the touch and feel you get while taking a slice in your hand can be considered well though-out effect of sensory branding. Similar is the example of a themed restaurant. The ambiance along with a perfume the restaurant uses, gives a special feel and attractiveness. Another interesting example provided in the above HBR article is about Dunkin' Donut which used an atomizer to release a coffee aroma whenever its advertising jingle is played in municipal buses. Aradhana Krishna, a professor at University of Michigan is considered to be an expert in sensory marketing provides some more examples and concepts of here. If you have been watching National Geographic's Crowd Control program, Daniel Pink talks about many examples which drives our decisions are controlled especially by making use of touch & feel as a sensation. Let's take another example - Volkswagen. Volkswagen Sweden created a buzz at a subway for advertising its BlueMotion technologies by converting the steps into a piano! The brand didn't stop there. It created a website - The Fun Theory with many such examples showcases how we can change behaviors. Research studies have shown that non conscious subtle stimuli can be more powerful than what traditional advertising provides. These techniques may not be perceived by customers as advertising. And since an experience is created, the brands using these techniques get into consumer's consideration set and also recall is better. Advent of technology and digital provides marketers more such opportunities to reach consumers with sensory elements. Advertisers are experimenting how to make ad viewing more fun. For example - you may visit a blog talking about cars. A car ad could be shown which produces the sound of a car racing. Another example , once again from Volkswagen in The Times Of India - readers heard an audio advertisement when they unfolded the newspaper! Let's take mobile advertising space; it provides immense opportunities limited only by creativity to try something - How about showing a discount ad every time you win a game; how about you use the gyroscope to make the ad viewing an experience? 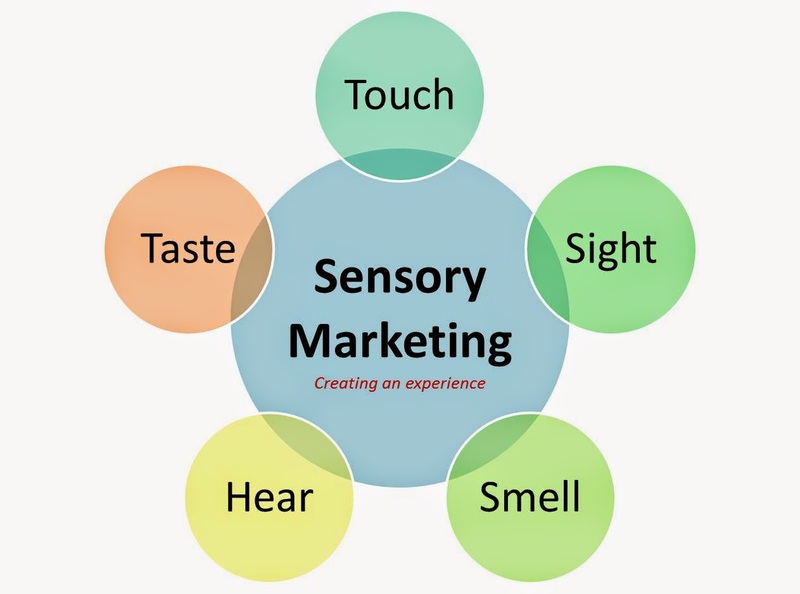 What do you think about sensory marketing…?